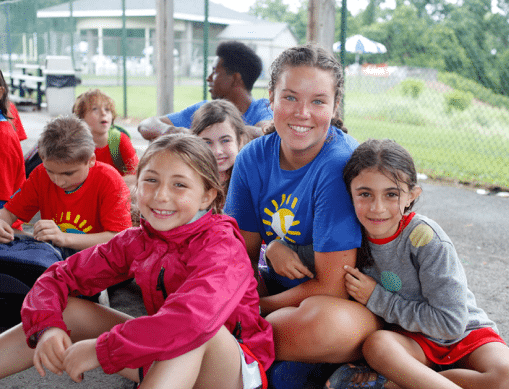 Through training and weekly workshops, staff-in-training learn the responsibilities of a day-camp counselor, develop a spirit of volunteerism, and learn the impact that they can have on their community, develop stronger social skills and develop their own strengths and skills while working with children. 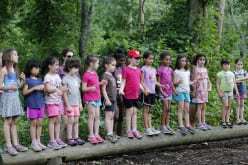 Staff-in-training participate in team-building exercises with their fellow CITs, share responsibility for a group of campers with a junior and senior counselor, lead a weekly activity with their group and participate in a community mitzvah project. After successfully completing the program, a rebate will be awarded. A parent/camper interview with the camp director is required. Attendance at the staff orientation week in June is mandatory.